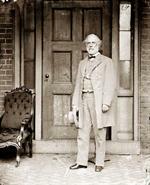 “I prefer your acts to speak for themselves, nor does your character or reputation require bolstering by out-of place expressions of my opinions.” Robert E. Lee chides Jeb Stuart in a May 11, 1863 when Stuart apparently complains that Lee’s report on Chancellorsville does not give Stuart full justice for his actions there. From Cavalryman of the Lost Cause by Jeffry D. Wert. New York: Simon and Schuster, 2008 page 232. Originally from a letter from R.E. Lee- to JEBS, May 11 1863, Stuart Papers, Huntington Library. “There are going to be great events, and many a mother’s son will embrace the grass! 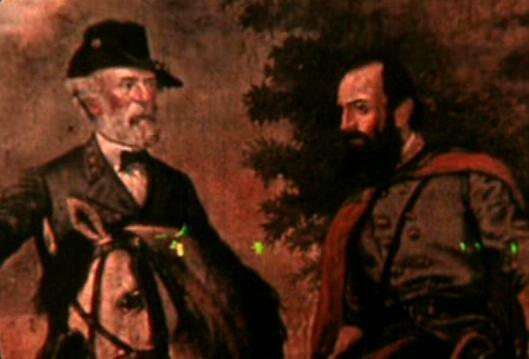 When those two men get together, history becomes pregnant and bears bloody for us and hell for the Yankees!” Witnessing Lee and Jackson conferring for the last time before Jackson moves off to smite the Federal right at Chancellorsville, one of Lee’s staff officers makes this observation to Captain Julius Scheibert of the Prussian Army, a military observer with the Army of Northern Virginia. From Seven Months in the Rebel Army during the North American War, 1863 by Julius Scheibert. Edited by William Stanley Hoole. Tuscaloosa, AL: Confederate Publishing, 1958 page 62.